Sitting behind the keyboard at 24, I can, without a doubt, say that bass fishing isn’t the same sport it was the first time I picked up a rod and reel. The fact is, more has changed in the past ten years in bass fishing than maybe all the years prior combined. 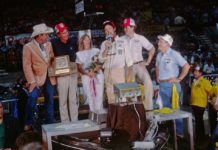 In a mere decade, technology and electronics suddenly have the tournament angler in a stranglehold, and many wonder if you can still compete without it. Just jump on YouTube and watch an episode of The Bassmasters from the mid-90s. Most of the outboards did not exceed 175 horsepower, and if you were fancy, maybe you had a 4” LCD Eagle graph that would show you depth and maybe a cartoon fish every now and then. It’s beyond a far cry from today’s arsenal. GPS Mapping, 360 Imaging, Structure Scan, Insight Genesis, Auto Chart Live, and Power Pole were ideas of science-fiction to the first generation of Pros. When you watch that episode of The Bassmasters, you’ll also notice how different the style of fishing was. Most guys didn’t even try to fish offshore. And if it wasn’t a textbook long tapering point or brush pile, you likely won’t find anyone more than a cast-length from shore. Chances are, there is no mention of looking at electronics, and if someone is offshore they’re treating it like a “secret spot” where magic comes together over the course of the tournament. Fast forward to today. For a few thousand bucks you can see everything in every direction within 50 yards of your boat. That includes fish, cover and structure as small as dinner plate sized shell bed on the Tennessee River. You don’t have to worry about finding anything anymore, because the same unit includes full-color, high definition topo maps with 1-foot contour lines for every major waterway in North America. And once you pinpoint exactly where you want to be and see the fish on your display, just sit back and turn your spot lock on, or drop your Power Poles. You do that all day, 15 pounds makes a check, 23 pounds wins, there are 89 limits in a 117 boat field and it begins to hit you. It’s 2019, and no fish is safe. The fact is, with our modern ability to graph huge amounts of water away from the bank, we are time targeting an entire population of bass that once spent at least the summer months virtually unpressured. Today those fish are hitting scales in big numbers, and we are seeing weights in local tournaments higher than ever before. The time it takes to breakdown water is a fraction of what it once was, and the difference between two anglers might be which one has better technology. I remember preparing for the 2017 FLW College Championship on Lake Wheeler. I had watched every video, read every article, looked at every map, and made every phone call I could before the off limits. 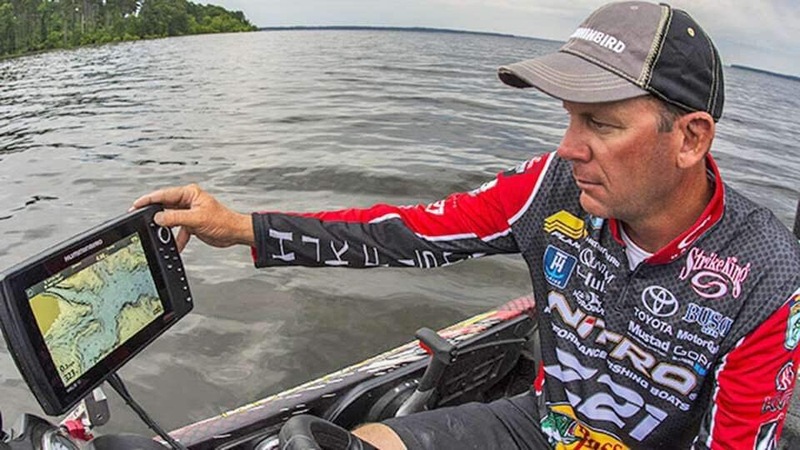 In my research I had seen where in tournaments years before Davy Hite had won on an offshore hump, and Kevin VanDam and Jeremy Starks had a shootout on a number of shell beds and ditches on the famous Decatur Flats. I was sure we could finish well if we could break one of these two areas down. The first night in Alabama, I ran into a Lowrance rep at our hotel. He gave me and several other guys the latest Insight Genesis chip for Wheeler. I plugged it into my graph and realized we weren’t gonna have any of that to ourselves and everything we had hoped to find was clearly marked. Practice became a carnival and so did the tournament. Boat after boat hit the same 35 waypoints over and over, and it got so heated that two anglers in contention (I won’t mention names) almost got in a fight the night before day 2. I learned in that event that competing in a major fishing tournament, for the most part, wasn’t about finding some magical spot nobody else finds, and sitting on it for a few days and collecting checks. Instead, you have to use what’s available to you to capitalize on opportunities and maximize efficiency. In addition, you have to be prepared to share water these days. With so many guys looking at the same maps and graphing the same areas, fishing with someone over your shoulder is something we are all gonna have to learn to deal with; even on our best spots. As bad as I hate to say it, every cent of investment you can afford to make into electronics and equipment is worth it. You don’t necessarily have to have a brand new 22 foot Ranger with four 16 inch graphs to compete, but it’s a lot easier and a lot less learning curve with it than without it. With what’s available now, tournament bass fishing isn’t about what the fish are doing seasonally, or what they were doing last week, it’s about where they are that day. And any bass from 0-60 feet is in danger of being found. I point all of this out because I hear a lot of people say, “These guys today don’t have any skill, all that fancy stuff does the work for them. Take all that away, none of them can fish.” I’m here to say nothing could be further from the truth. Sure, today it may be easier to find fish. It may even be easier to catch fish. What it’s not easier to do is outfish other anglers and get a leg up on the competition. Technology if nothing else is a great equalizer as it becomes more and more available and affordable. Many times now, everyone has the same amount of information available; there are no secret spots on many popular bodies of water these days, and it comes down to who fishes best. Sure, no fish is safe in 2019, but none of them are hidden either and that’s nothing short of exciting.